On 10 November, the Tassano Group presented its 2016 Social Report to its region: the "collective gratitude" of members, citizens and institutions. “The history of the Tassano Group could simply be defined as ‘a miracle’”. This is how journalist Roberto Pettinaroli, head of the Levante edition of ‘Il Secolo XIX’ (The 19th Century’), started presenting the group in the splendid setting of the former convent of Our Lady of the Annunciation in Sestri Levante to a room filled by more than 300 people. They were the members and workers of the Group cooperatives, but also many people who crossed its path as workers or beneficiaries of services to the person that the Group has provided in these almost 30 years of activity; and then the institutions with whom the group has been able to create synergies such as to allow the realization of that "light welfare" in Tigullio, invoked by many parties which was really palpable here, with the full satisfaction of the administrators and citizens. The Social Report presented today is called "Foto di gruppo” (Group Photo – the tr. ): a very suitable title, given that everything here speaks of "people" and "people placed at the centre": “We are a network of companies that want to respond to the essential needs of the person through work,” says Simona Rizzi, president of the Consorzio Tassano Servizi Territoriali. Certainly, there are also numbers in a balance sheet, since the Tassano Group means 6 consortia, 33 social cooperatives and 700 employees, but also a total value of production which is more than EUR 15,809,000 with services provided to 4705 direct users and 100,000 indirect users in 35 municipalities and relevant territories, but really - and it can be touched by hand - the centre of everything remains the person, people. It can be seen from the "gratitude" that emerges as a collective feeling from the hall, during the whole course of the conference, in particular when some people are named who, with their choices, have started this story, in which "work" is the great protagonist. Work that’s "true" and always "sought" to allow even "special" people - as the Mayor of Sestri Levante Valentina Ghio, also a former co-operative worker, has defined them - to have their own dignity, by working. “Everyone has their own measure, we try to put together the best of every person, the best of all that each person can give,” says Maurizio Cantamessa, President of Consorzio Tassano (Tassano Consortium - the tr.). With the consequence of regenerating people, who become a "resource", albeit starting from a disadvantageous position. All this has a root: the economy of communion and that’s the point when the word should be given to the protagonists and witnesses. The presentations of Alberto Ferrucci and Luigino Bruni intended to give consistency to those roots and to tell about the Economy of Communion also through a matured fruit like the Tassano Group that joined the EoC in the first hour, in 1991: at the end of the conference the awarding of three plaques to the "entrepreneurs of communion" to Giacomo Linaro, Pierino Cattani and Pierangelo Tassano was welcomed by great emotion: they are the ones who started this beautiful story. 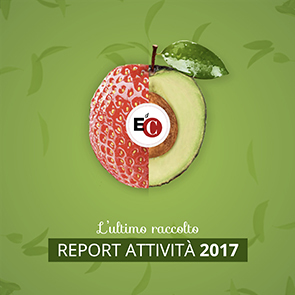 After years of expansion to Tuscany, Emilia Romagna and Piedmont our group has gradually returned to being very territorial, and today, with its 6 consortia, it is totally concentrated in the territory of Tigullio. Our "Group Photo" today shows a very cohesive reality, in which we can affirm that there is a total sharing of values and also an understanding on the level of daily work: it was time to regroup and consolidate ourselves and to restart. The fact that we are concentrated in the region, as we have understood, is very important because it favours relationships: we really work with the institutions present tonight every day and side by side. Having to deal with personal services, it is important to ‘be there in person’". For the future, what guarantees are there that these values remain the basis of the Group's life? “The Tassano Group will become a Foundation. We believe that it is the most appropriate legal instrument to preserve those values - beyond ourselves - that have brought us to where we are today. Another novelty is the "School of Civil Economy": many professionals help us and we feel the desire to train other people in the spirit of the economy of communion".